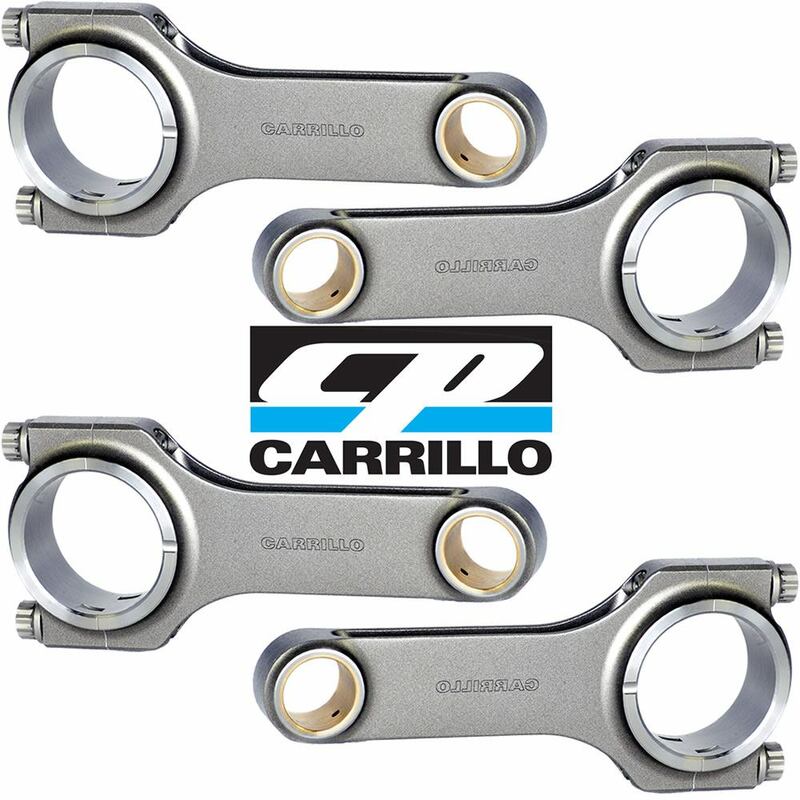 Carrillo connecting rods are the industry standard for all high horsepower applications. The H-beam rod design offers significant weight savings over stock connecting rods, while offering tremendous strength advantages. This translates into a more robust bottom-end for your high performance machine. Strength and reliability are the hallmarks of Carrillo connecting rods - and a critical foundation for your performance goals.